With the increasing use of Open Source Software (OSS) in high speed networking, parallel processing and distributed computing, OSS has emerged as mainstream in the last decade and is now being broadly accepted even by the traditional proprietary software development companies. The major advantages of OSS over traditional software development are less development cost, availability of source code, quality and security. Software reliability—an important attribute of software quality, is defined as the probability that a software will operate free of failures or breakdown for a specified time under specified conditions (IEEE Std. 1633-2016). 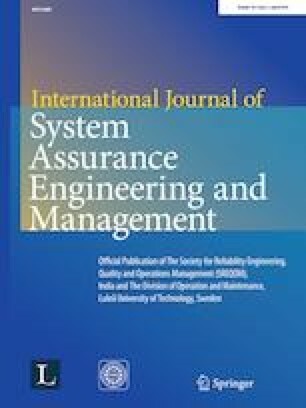 Investigation of Software reliability with the help of software reliability models (SRM) undertakes the estimation and prediction of the failure phenomenon of a software. In this paper we have investigated whether Non-homogeneous Poisson process (NHPP) based software reliability models fit in the big data open source software fault/bug data. We have extracted real and latest bug/fault data of Hadoop and Spark–open source big data applications, from bug tracking/management tool Jira. For this purpose, we have also compared these models on different goodness-of-fit and prediction criteria based on collected failure data to ascertain whether a best fitted model can also be a best predictor. It is found that the best model fitting the failure data is not a best predictor model. The authors are very grateful and thankful to the anonymous Referees and the Editor, whose comments have helped greatly in the presentation of this manuscript. The authors gratefully acknowledge the assistance of Professor Priya Ranjan, Department of Electrical and Electronics Engineering, Amity University, Noida in providing valuable inputs.